This article was first published in The Conversation on 31 August, 2018, and is re-published here with kind permission. About the authors: Associate Professor Gary Mortimer from the QUT Business School is a regular contributor to Australian Food News. He is an active researcher in the areas of food retailing, retail operations and shopping behaviour, particularly consumer behaviour in food retailing and shopping. 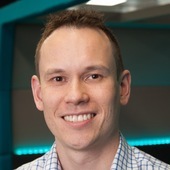 Electrical Engineering Professor Michael Milford from the QUT Science and Engineering Faculty is an expert conducting interdisciplinary research at the boundary between robotics, neuroscience and computer vision and is a multi-award winning educational entrepreneur.